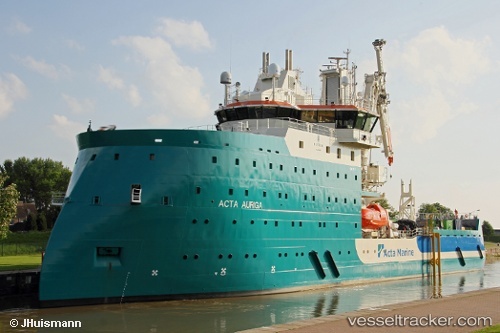 Acta Marine’s newbuild, the CSV/SOV vessel Acta Auriga, was delivered from Ulstein Verft on 28 March 2018, three days before schedule. High quality and delivery precision were crucial when Acta Marine placed the order at Ulstein Verft, the company said in its press release. Already during the construction Acta Marine secured a charter with Ocean Breeze Energy to deploy Acta Auriga for logistical support and maintenance activities on BARD Offshore 1 400 MW wind farm.